We had the pleasure of chatting with Antoni Trenchev, Managing Partner at Nexo, in an exclusive CoinSpectator.com interview, to find out more about one of the most exciting crypto startups we have come across this year. Not heard of Nexo? They are the world’s first instant crypto-overdrafts service, which enables anyone to access traditional fiat without selling their digital crypto assets. The whole process is powered by blockchain technology. Although new to the blockchain industry, the team behind Nexo is no stranger to the world of finance, with its ten years of expertise and innovation running Bulgarian FinTech firm Credissimo. CS: What are the benefits of having asset-backed lending on the blockchain? Nexo’s primary mission is to enable the community to enjoy its crypto-wealth without selling it. You simply place your crypto asset in an Overdraft Wallet and instantly start using a credit line based on their value. With Nexo’s product, you have the cash to spent whenever you might need to while keeping the upside potential of your crypto. We have been in the consumer lending space for over 10 years now with our successful European FinTech Credissimo, so we are in an excellent good position to offer a unique proposition to the blockchain. CS: Who is providing the FIAT funds for the loans? Is this accredited lenders on the NEXO platform or will it come from NEXO reserves? Here is where we differ from other services that are mostly P2P and borrowers have to match willing lenders. Nexo bridges that gap and makes the product more efficient, ensuring constant supply and liquidity. That is why almost all funds from the Token Sale will be used to fund our Crypto Overdrafts. We are also in advanced talks for the acquisition of an FDIC Bank, which would allow Nexo to extend even more overdrafts and even offer interest-rate bearing deposits. CS: As you are probably aware lots of banks are unhelpful let’s say when buying/ selling cryptocurrency. Do you expect any problems with clients receiving fiat and having to explain where that money has come from if they mention crypto? It is true that not all banks yet accept the inevitability of cryptocurrencies and blockchain solutions. That is one of the reasons we are looking to acquire a bank, we want to operate a company that understands what crypto assets are all about. Of course, KYC and AML are important for us and the community in general, so the source of funds is a must for larger amounts, but that should not interfere with the customer experience. As for the Crypto Overdrafts – they are purely fiat transactions so we have solid banking partners even today. Starting April 2018, our clients will have a seamless experience and get access to cash in just a few clicks, all the while retaining full ownership of their assets. CS: Similar companies are utilising asset-based lending such as “Salt Lending” “ETH Lend”, what benefits does Nexo have over these? The Nexo Overdrafts are instant and automatic, as we fully appreciate the fact that speed is of the essence when a client needs liquidity. Nexo’s overdraft terms are standardised, so unlike P2P platforms, there is no back and forth between borrower and lender and the process is much more user-friendly. Furthermore, Nexo is very flexible with regards to the crypto you can keep in your Overdraft Wallet. We will be revealing more details soon. Nexo offers a variety of options: besides fiat, you can also use crypto at market prices to make instant repayments. There are no geographic restrictions at Nexo, you can be anywhere in the world and still receive a Crypto Overdraft from us. Nexo’s Overdrafts have fixed interest rates and the same Loan-to-Value for everyone and availability is instant and automatic. P2P platforms take а commission in the interest of each loan. Nexo’s income is the interest rate on the overdraft, we do not make money from anything else. An important aspect is that no minimum overdraft repayment is required if the outstanding overdraft balance is within the available overdraft limit. Bottom line, Nexo’s Overdrafts are simple, extremely flexible, cost-efficient and with the customer in mind. CS: Can Nexo overdrafts/ loans be used for purchasing property or mortgage purposes? Of course, everyone can spend their cash the way they please. CS: What regulatory hurdles do you still need to overcome? Nexo’s model as a whole does not face any particular hurdles. But the crypto space has its challenges and in general what we would expect to see is more regulation kicking in. This could be either positive or negative. Some countries, like Switzerland, are very good at giving broad enough rules so that companies that bring value to the community, can operate with a higher degree of certainty. Rules are good, but concise, unobtrusive and business-friendly ones, and we hope for that. We believe that security tokens are the future – most tokens are security tokens anyway, pretending to be a utility token, obviously, this is unsustainable. That is why we have opted for a security token with Nexo. It is interesting to see how exchanges will adapt to the new circumstances. We are quite bullish and believe that crypto and tokenized assets will become a multi-trillion industry that will bring immense and exciting opportunities for all of us. CS: According to a report by Morgan Stanley the p2p marketplace will be worth $150 to $490 billion by 2020. Does Nexo aim to take a large slice of this? 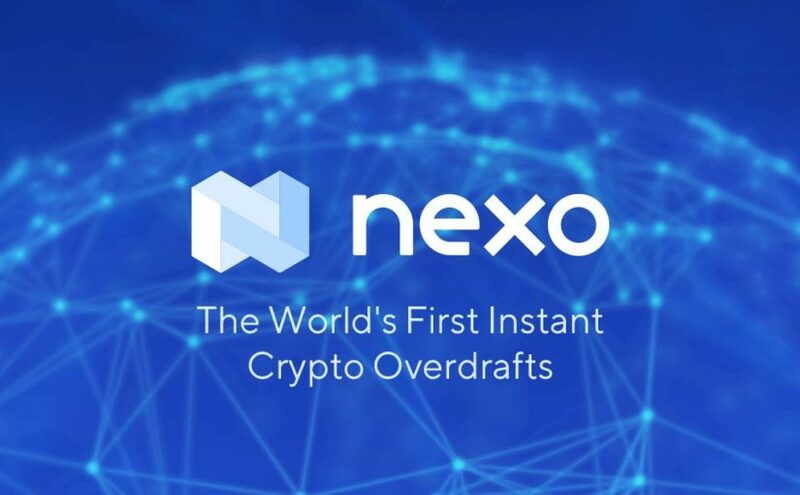 At Nexo we aim at delivering the best possible Crypto Overdrafts to the widest possible audience. We would like to convince the clients of our unique proposition by letting the users experience the ease of use and that will lead to market share that is satisfactory. For this reason we are launching the product prior to listing the NEXO Tokens on exchanges. CS: Do you expect a high number of interest from companies as opposed to regular users? Actually, we are experiencing a growing interest on all fronts. CS: How do you plan to tackle money laundering, as you can appreciate around new technology you will always have a 3rd party trying to taking advantage. What markers do you have in place to stop someone using stolen/ hacked crypto to take out a loan? In our 10+ years experience with Credissimo we have always adhered to the highest security and regulatory standards. We continue to do the same with Nexo, utilizing in-house solutions where we have the necessary expertise and contracting leading third party providers where this makes sense – escrow/custodian accounts and parts of our KYC/AML/CFT processes, for instance. CS: The NEXO sale has been cancelled due to raising funds privately from investors, can you mention any institutions or firms that have invested? It is part of our agreement with investors that they should make the first step and disclose their involvement with Nexo. Just like Michael Arrington, Founder of TechCrunch and the Arrington XRP Fund chose to do. CS: You state that the overdraft benefits from not liable to capital gains tax (which is the case when selling crypto profits) but what if the borrower took out an overdraft but defaulted on the interest payments. In this scenario would any taxes be applicable? As long as the client does not default, no tax liabilities kick in. If however we are forced to liquidate an asset, all depends on the price. Should the liquidation price be higher than the purchase price, capital gain tax will be owed to the relevant tax authority on the profit made.